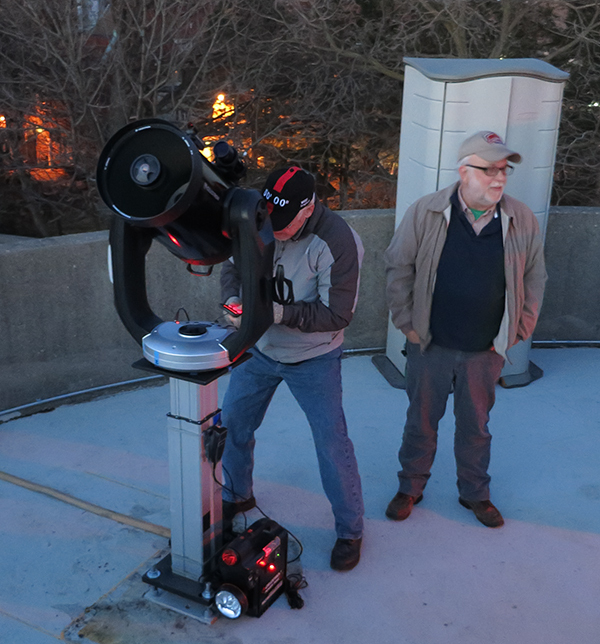 The Strasenburgh has TWO telescopes on the roof of the building that are open to the public most Saturday nights when the skies are clear. The telescopes are open Saturday nights from dark till about 10pm when weather in downtown Rochester is favorable and volunteer telescope operators are available. Climb 60 steps at the back of the planetarium to view the sky through two telescopes operated by knowledgeable volunteers from the Astronomy Section of the Rochester Academy of Science, the leading local astronomy club. Admission to the telescopes and parking is free. or if no answer, call Jim’s cell at 585-703-9876. 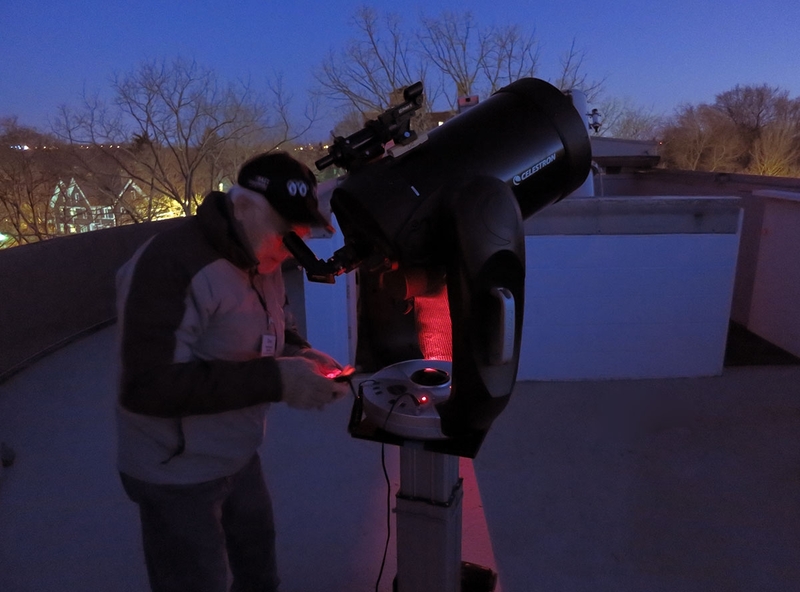 For more about telescope viewing and amateur astronomy, visit a meeting of the astronomy club. Explore this site for more information. As many as 125 people per Saturday night come to view the heavens through a telescope at the Strasenburgh Planetarium, thanks to volunteers from our leading local astronomy club, the Astronomy Section of the Rochester Academy of Science (ASRAS). This active, friendly group has offered free telescope viewing at RMSC since the early 1960s. Most viewing today takes place at the top of a flight of 61 steps at the back of the Planetarium, a permanent home of 12.5 and 11-inch-diameter reflecting telescopes operated by ASRAS members. Club members often add telescopes of their own, either up on the observing deck or down at ground level. ASRAS members help us out in the daytime too, presenting activities and information in the Planetarium lobby or the Museum. ASRAS welcomes new members of all ages and experience levels. Monthly meetings take place at RIT or at the club’s dark-sky observing site, the Farash Center for Observational Astronomy in Ionia, New York. 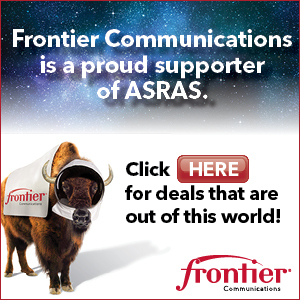 To learn more about joining visit the Join ASRAS page.